Used Copies of Resident Evil: The Mercenaries 3D might not be worth your money because Capcom made it impossible to for anyone to erase game save date from the game card. Capcom included a note in Resident Evil's game manual that reads: "Saved data on this software cannot be reset." Translation: Everything is permanent. What isn't clear, is why they removed the ability to erase saves. We contacted Capcom for comment and will update this story when they respond. Nintendo 3DS games save directly to the cartridge, so by picking up a used copy of Resident Evil: The Mercenaries 3D you're getting a copy with someone else's game save already written to it. That means that everything may already be unlocked within the game when you pick it up, leaving you without much to do except beat the previous owner's high scores. 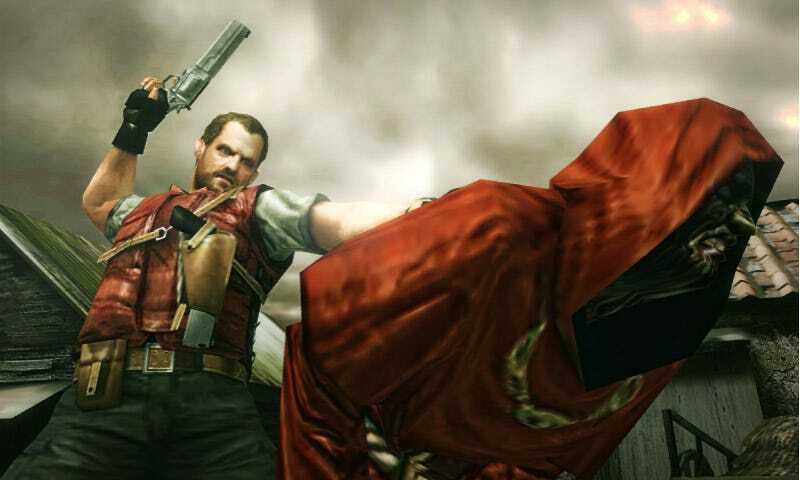 Capcom fans have had problems with how Capcom handles their save files in the past as well. Playstation 3 versions of Street Figher IV and Resident Evil 5 as well as other games have save files that lock to the console instead of the PSN ID, leaving users with a broken console or looking to upgrade without their precious progress.